Jill Mansell is the bestselling author of over 20 novels. Her new book, The Unpredictable Consequences of Love, is out on the 30th January. 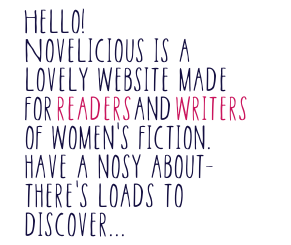 She tells Novelicious how Riders influenced her writing when she was starting out. I honestly don't think I could describe how much I loved Riders, by Jilly Cooper, when it first came out. I'd enjoyed her earlier writings, but this was a revelation, a whole new level of fabulousness. Contemporary fiction with glamour, drama, sizzling sexual shenanigans and humour – well, I hadn't realised such a genre existed before. I was in love with the style of writing, the glorious Cotswold settings, the irresistible characters. It's no exaggeration to say it felt like coming home. I was working at the time in a neurological hospital, longing to change my life. Reading an article in a magazine about women who had changed their lives by becoming best-selling authors, I decided that this was something I needed to try for myself. Having attempted a few Mills & Boons, I kept getting told I was putting too much humour into them. Eventually I decided to write the kind of book I would love to read, which was basically Riders, minus all the horsey bits because I knew nothing about horses. So that's what I did, and the end result was Fast Friends. A little story to finish with: Fast Friends was bought by Transworld Books and, before it was published, I was invited along to the incredibly glitzy British Book Awards in London. It was a snowy night and I was worried about getting home to Bristol because I had to be at work in the hospital by nine the next morning. At one stage during the evening I was thrilled to be introduced to Jilly Cooper, and we chatted for a few minutes. When I mentioned in passing that I didn't know if the train was going to get me back home, Jilly instantly told me that she had a chauffeur driving her back to her own home near Stroud and if it would help at all, I could come back with her, spend the night at her house and head on to Bristol in the morning. I couldn't accept her kind offer, but have never forgotten it; it was such a lovely and typically generous gesture for her to make to an unpublished author. Jilly Cooper proved to me that evening that she was every bit as wonderful as her books.